Author: Coffey, Jan Set In . . .
Just weeks before Independence Day, the President is targeted for assassination by a powerful financial cartel that is making plans to rip off the American dream. A treasured Betsy Ross flag is missing, and FBI Special Agent Nate Murtaugh has just ten days to find it. His search takes him to the Philadelphia art world—and Ellie Littlefield. Daughter of a notorious art forger, she is a savvy dealer of American antiquities. Ellie has connections in the art underworld and Murtaugh will go to any lengths to get her to help him. 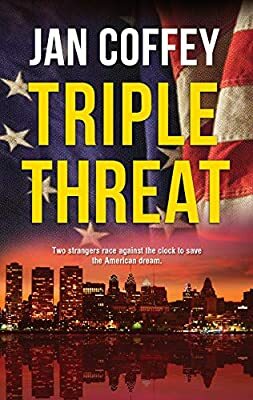 As the countdown to Independence Day ticks away, Ellie and Nate must navigate a world where truth and lies are hard to separate, where murder is just a way of doing business and where corporate power brokers refuse to let anyone—even the US President—stand in the way of profits.